Rose Quartz is known as the stone of love, which works with the heart chakra and brings loving and nurturing energy. 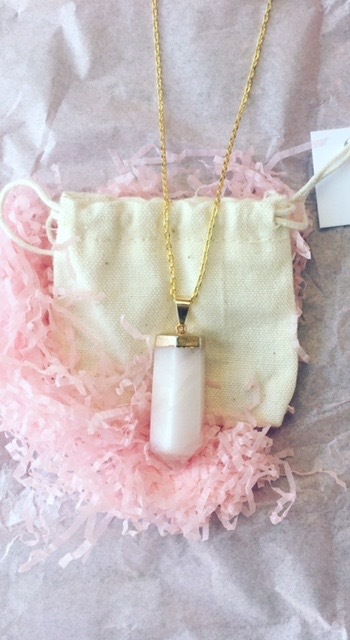 Apparently, rose quartz brings energy rays of determination, commitment and caring and its calming colour soothes feelings of anger or resentment and can aid meditation. The colour pink is known to represent new love, romance and new relationships.